Turn your Full version of the Chai Air Times "Pro" program into a navigation computer! All you have to do is to update your licensed Full version to at least version 3.0.0. Then purchase this navigation kit. We have assembled the kit from on-hands experience during an actual flight. We guarentee that the kit contains all you will need to enable reliable GPS reception during your flight. Just remember to book a window seat on an airline that permitts the use of GPS devices and "zeischem l'shalom b'zman!" 1. 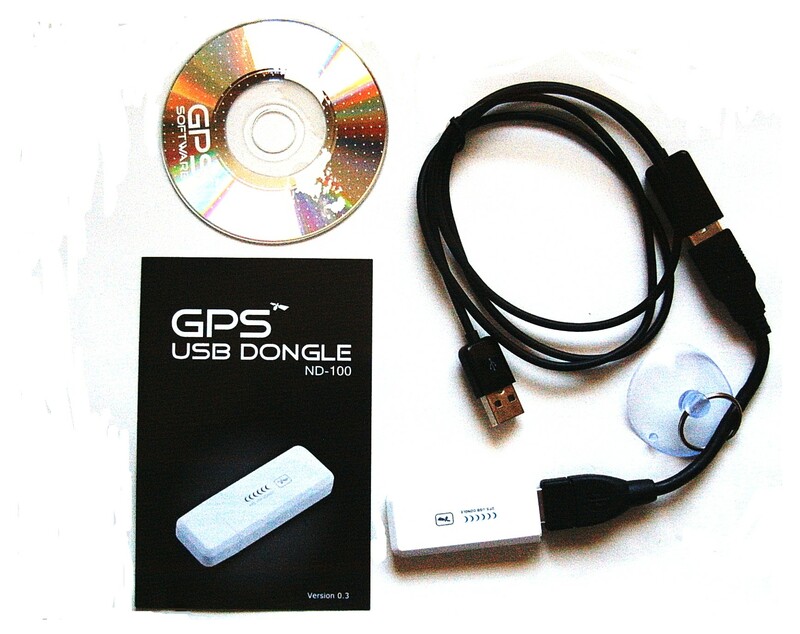 NMEA 083 v3 compatible GPS USB dongle. 2. Installation CD (includes software to test your device) and instruction manual. 3. USB extension cord (1 meter in length) to permit placing the GPS device next to a window. 4. Suction cup hanger to permit hanging the GPS device next to the airplane window. 1. Make sure you have purchased a license to the Full version of the Chai Air Times "Pro" program. 2. If you are using a version earlier than 3.0.0, use the "Updates" link in the main navigation bar to download the update. 3. Have your travel agent book you a window seat on an airline that allows the onboard use of GPS devices. 5. Review the program tutorials (especially tutorial 10) as well as the program's picture documentation. 6. Once your pilot perimits the use of computers, etc., connect your GPS to an available USB port on your computer. 7. Attach the GPS device on or close to the airplane's window using the suction cup hanger. 8. Start the Chai Air Times "Pro" program, and be sure to select the option "GPS determines the flight path" in Step 2. Until further notice, we are only able to sell the GPS kit as a service to our customers in Eretz Yisroel. We advise other customers to buy the latest GlobalSat USB dongle from their preferred local vendor.